EFL Championship 2018-19: Who will get promoted to the Premier League? Norwich City are currently the top team in the EFL Championship. With 35 matches in the books, one would assume that at least one club from the EFL Championship has booked their ticket to the Premier League, but that is not the case. Multiple teams still have a good chance at being crowned the champion of England's second division, and several others are still in contention for a spot in the playoffs. 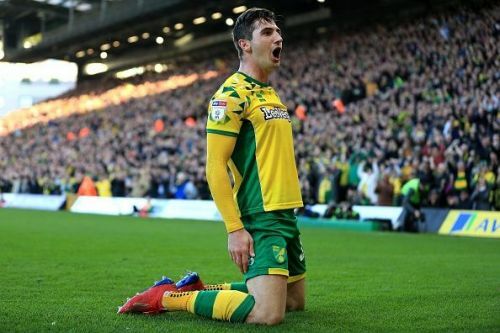 As things stand, Norwich City lead the pack with 69 points and they are followed by Leeds United (67 points), Sheffield United (65 points) and West Brom (60 points) to round out the top four. The competition among the top teams is the closest it has ever been since the 2015 campaign when the disparity between first and third was a mere four points. That being the case, let us try to determine what teams have the best odds of earning promotion to the Premier League next season. Norwich City are the league leaders for a reason. The Canaries have scored more goals than any other team, 71, and they have a favorable schedule to close out the season. In their last 11 games, Norwich will play at home six times and eight of their final opponents are all bottom-half clubs. For these reasons, the current league leaders should earn promotion and win the title. Leeds United have not been in the Premier League since the 2003-04 campaign, but things are looking good for them at the moment. Sitting in second place, only two points shy of first, Leeds will look to play with urgency to solidify their spot for direct promotion. Leeds United will conclude their season against eight bottom-half clubs. The only way I see them being ousted from the top two is if they get upset by a decent bottom-half opponent like Aston Villa, Preston or Sheffield Wednesday. Sheffield United have been the most pleasant surprise of the season as they were not expected to be where they are at this stage of the campaign. With 65 points from 35 games and a goal difference of +25, Sheffield are the real deal. In order to give Leeds United a run for their money, they must defeat them on the road and handle business against the six bottom-half clubs they will face. Sheffield United might not earn direct promotion, but they have a good chance at reaching Wembley Stadium and winning. West Brom were relegated from the top flight last season, but they have done well to stay in contention for promotion. The Baggies have scored 67 goals this season thanks to Jay Rodriguez and Dwight Gayle, who have combined to score 33. West Brom have a lenient schedule to conclude their season, but so do the teams above them. I do not expect West Brom to catch Leeds United and Norwich City, but they should keep their spot in the top six. Middlesbrough (58 points) and Bristol City (54 points) are currently fifth and sixth in the table, but that can quickly change between now and May. Both teams play a combined total of nine top ten teams in the final weeks of the season, so they are far from safe. Looking at the other teams in the top ten, Derby County and Nottingham Forest have the most lenient schedules and it would not surprise me if they replaced Middlesbrough and Bristol City over the next few weeks to sneak into the playoffs.